A great day trip from Anna Maria Island is a trip to Universal Studios in Orlando! Universal features two parks catering to thrill seekers, movie enthusiasts, and families looking for a fun group activity. Islands of Adventure features multiple roller coasters, including The Incredible Hulk Coaster® which propels riders from 0 to 40 miles per hour in 2.0 seconds! The ride features multiple inversions and is a must ride for any coaster enthusiast! Also check out The Amazing Adventures of Spider-Man® ride, Harry Potter and the Forbidden Journey® ride, Dragon Challenge™ roller coaster, and The Cat in the Hat™ ride! Universal Studios directly adjacent to the Islands of Adventure park features many more thrills to complement the park-going experience! Of the two parks at the location, Universal Studios is the more interactive of the two, featuring multiple parades throughout the day featuring notable characters, such as Spongebob, Patrick, and Bikini Bottom locals. Despicable Me Minion Mayhem is a 3D motion ride experience, but the most notable feature of the ride might just be the dance party with minions following it! You can also zap aliens in a team competition on MEN IN BLACK™ Alien Attack™ where you rack up score by hitting aliens strategically placed throughout the ride. Just remember to press the red button (at least before your memory is erased)! There are also two choices for those who need to satisfy their roller coaster fix. Hollywood Rip Ride Rockit® is a vertical lift coaster that features multiple inversions and the ability to pick your own selection of music from various genres. We’ll even let you in a little secret about the Rip Ride Rockit hidden songs! Hold the Universal logo for about 10 seconds after lowering your restraint and enter in the code that corresponds to the song you want! Revenge of the Mummy® is an indoor roller coaster that plunges you through the depths of a tomb as you narrowly escape the curse of an ancient mummy! 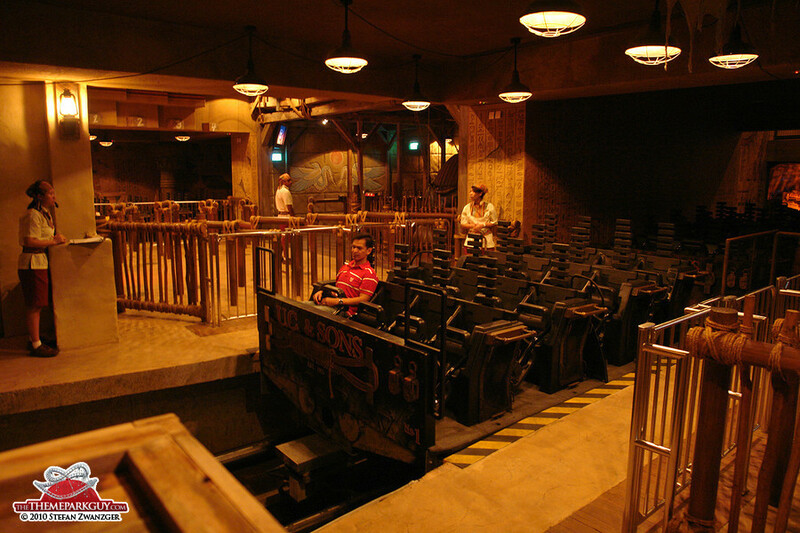 There are a couple cinematic elements and pyrotechnics incorporated that make the ride more immersive than the typical roller coaster. As well as both of the parks there is plenty to do on Citywalk which is just outside of the parks, and free of charge (sans the parking fee)! There is miniature golf, numerous restaurants, shopping outlets, entertainment, and at night the area transforms into a hub for the party going nightclub crowd to dance the night away with drink in hand. Next Next post: Meet Tami Turtle! The Anna Maria Island Turtle!